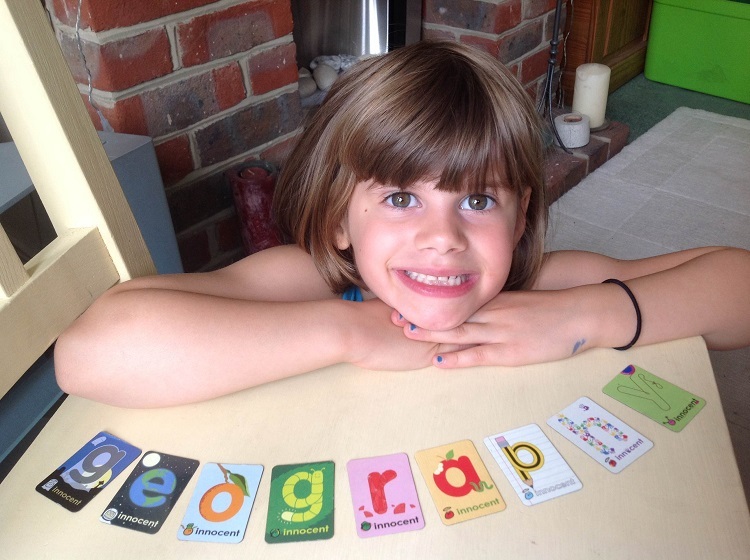 I’m always up for a challenge so when innocent invited me to take part in their Alphabet Champions Challenge this year, I was quick to accept! 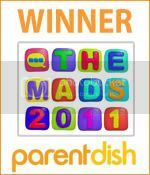 We took part a few years ago and were given the letter K – quite tricky we thought at the time. 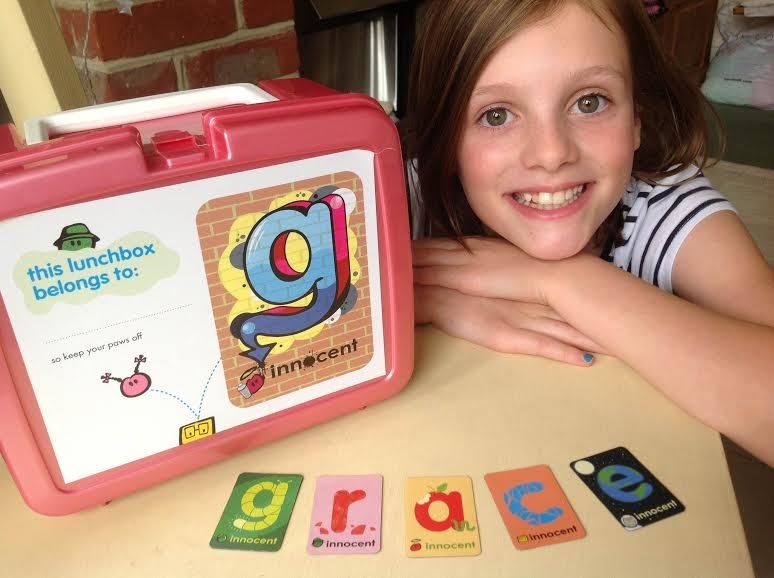 This year, to coincide with the children going back to school, we have been asked to champion the letter G.
So first up, we had to capture a photo of Grace, along with a lovely lunchbox that innocent sent us, and some of their magnets – which are always hugely popular in our house. 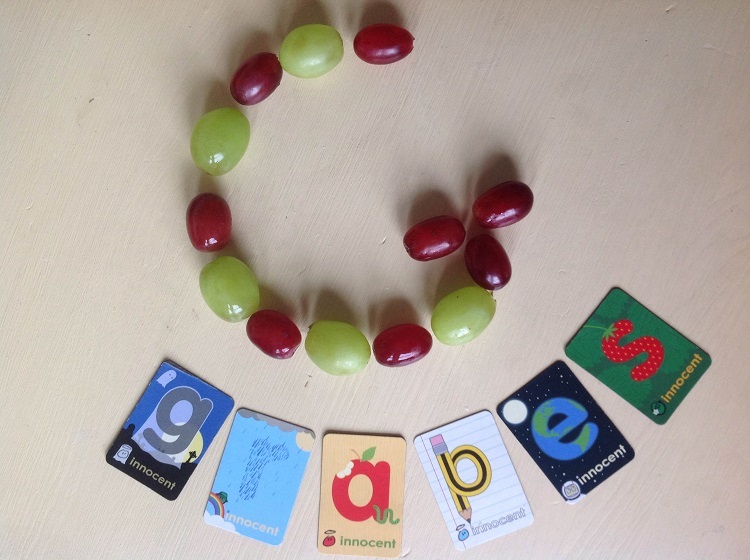 One of the girls’ favourite lunchbox fillers or break time snacks is grapes and yes, we did try to make a letter G out of grapes. We all tried, we were all equally rubbish – I challenge you to show me how it’s done! 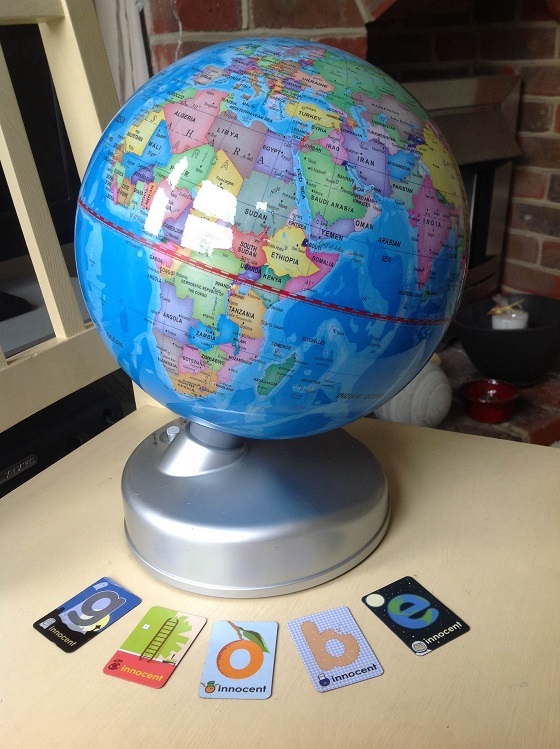 Thanks to innocent for sending us innocent goodies, vouchers and magnets.